Buff his Party’s Attack Speed and Dodge Rating while disrupting the enemy Party at the same time. 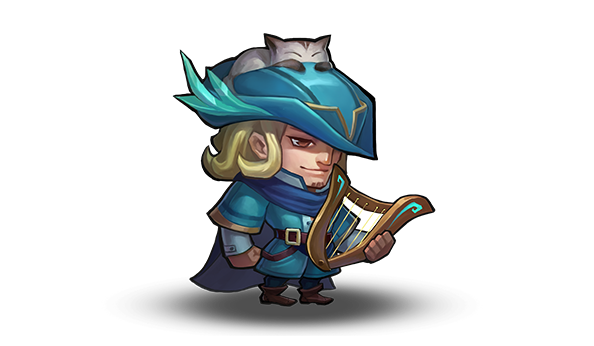 With a few strums of his magical harp all enemies on the battlefield become hypnotized and unable to move or attack . Increase the Attack Speed of one of your Allies for 6 seconds. 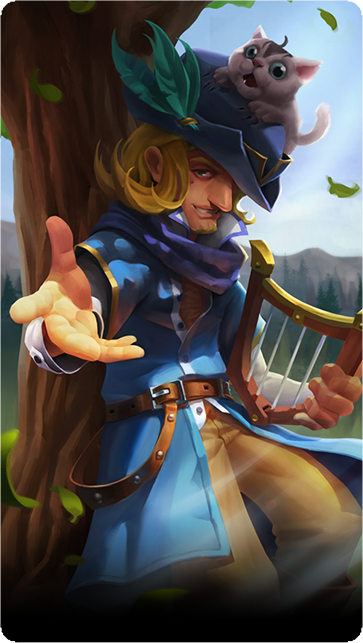 An enchanting melody not only deals AOE Magic Damage, but also stun enemies within range. Enrique plays an ode to the ancient heroes, granting his whole Party an increased Dodge Rating.